I was not ready for oratory last night, but a toastmaster friend said it’s the only way to improve. Find the end of your comfort zone. Jump over it. Sure, take a little time (or a lot) to prepare, but if you keep saying, “I’m not ready,” you’ll never be ready. When I joined Toastmasters, back in August, the goal was to listen. Learn. Give the introduction speech, then a talk once or twice a year. Preferably in low-turnout nights, surrounded by people I know. Play it safe. But my friend, a speaker extraordinaire, said no. That will do for you exactly nada. Nothing. Get out of your comfort zone, and the rest will come. You won’t. But if you lay an egg, step back, laugh, and we’ll laugh with you. Life begins at the end of your comfort zone. Those words — from Neal Donald Walsch — are still ringing in my head. As I reflect upon those words, I think that’s true with everything. I was not ready to send my latest story to Red Fez Magazine. But after I read it to the point of blurry vision, I took a deep breath and clicked Send. A month later the story was published at Red Fez. 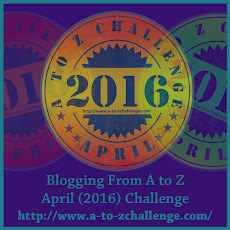 Didn’t know whether I was ready for the A-Z Blogging Challenge last year. But in a moment of courage and madness, I said Why not? The outcome, as I already mentioned, exceeded my expectations in wonderful ways. I learned, the hard way, that as a writer, blogger — as an earthling — I’m doing myself a disservice in keeping behind the comfort line. All right, I don’t plan on jumping out of a plane (not yet) or mountain skiing. Still want to keep safe, limbs attached to my body, but I say The Heck with too much comfort. Have you stood on the edge of your comfort zone? Jumped past it? How did it go? 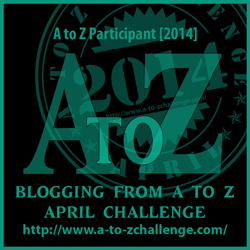 I didn’t know what to expect from my participation in the Blogging from A-Z April Challenge last year. My first blogfest. Frankly, I was a little scared. No, I was terrified. Blogging daily, reading other blogs — hundreds of them — takes serious commitment. I wrote and scheduled posts in advance. I visited participating bloggers regularly, tried to familiarize myself with the rules, and met the co-hosts. I met Tina. If you sign up, please take a moment to visit Tina’s blog, Life is good. 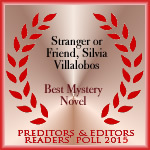 She is extremely helpful and writer of great, honest posts. I had a blast (to keep with NASA lingo here). Sure, it took a lot of energy. Staying on schedule, visiting hundreds of blogs, making last moment corrections to my posts, replying to comments — took time and dedication. The upside was extremely rewarding. I met bloggers from all around the world. I think I became a better writer (there is no substitute for practice, is there? And writing daily sure helps in that regard). I learned (and continue to) how social media — this huge cyber world — works. How content is so important, how to make search engine optimization work for my blog. Yes, a month-long of blogging does that. And more. So, can you post every day (starting with letter A and moving on from there) except Sundays during the month of April? Can you make time to visit other bloggers (and comment, of course)? 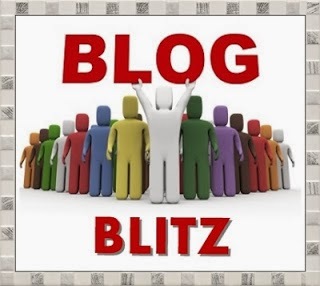 There are also blog hops within the challenge. 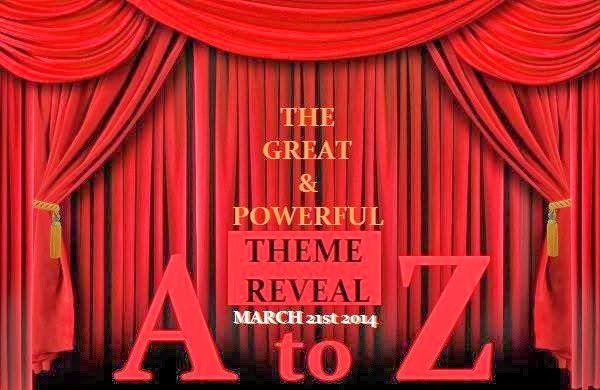 One is A-Z Theme Reveal Blogfest. Talk about fun. 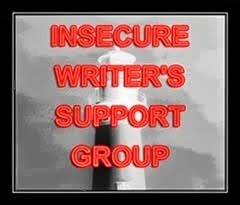 We also have Insecure Writers Support Group and Blog Blitz. I’m excited just thinking about April. Looking forward to visiting friends, reconnecting with old friends, and meeting new bloggers. Here’s to blogging and community fun. If you have a blog (and you probably do if you’re reading this one), you’ve likely come into contact with social-media experts. Now, let me be clear, I’m not discussing the real experts out there. I’m sure they exist and have a lot to offer. But … with the web functioning by and large as an unregulated industry, one has to wonder what makes all the people who want to help me advance my social-media skills experts? Someone in my inbox even called himself a social media guru. And he claimed to have the expertise to transform any given platform overnight. Fascinating. Then, there are those who DIRECT. They can be found not only in my spam folder, but Facebook and other venues. Don’t ever forget to link to … How could anyone disagree that … This is written not as an opinion, but THE LAW. I have been on social media for quite a bit and have never been so inundated with expert advice. Or commanded to do certain things. Whatever happened to PLEASE? 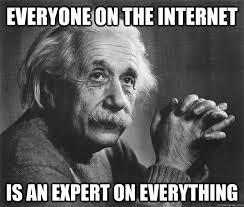 So, in case the social media guru (or his expert colleagues) reads this, I looked up the definition of expert. Just in case, you know, there’s any confusion. 1. A person with a high degree of skill in or knowledge of a certain subject. a. The highest grade that can be achieved in marksmanship. b. A person who has achieved this grade. Having, involving, or demonstrating great skill, dexterity, or knowledge as the result of experience or training. Word of mouth: is how I usually seek recommendations on experts or anything else. How about you?